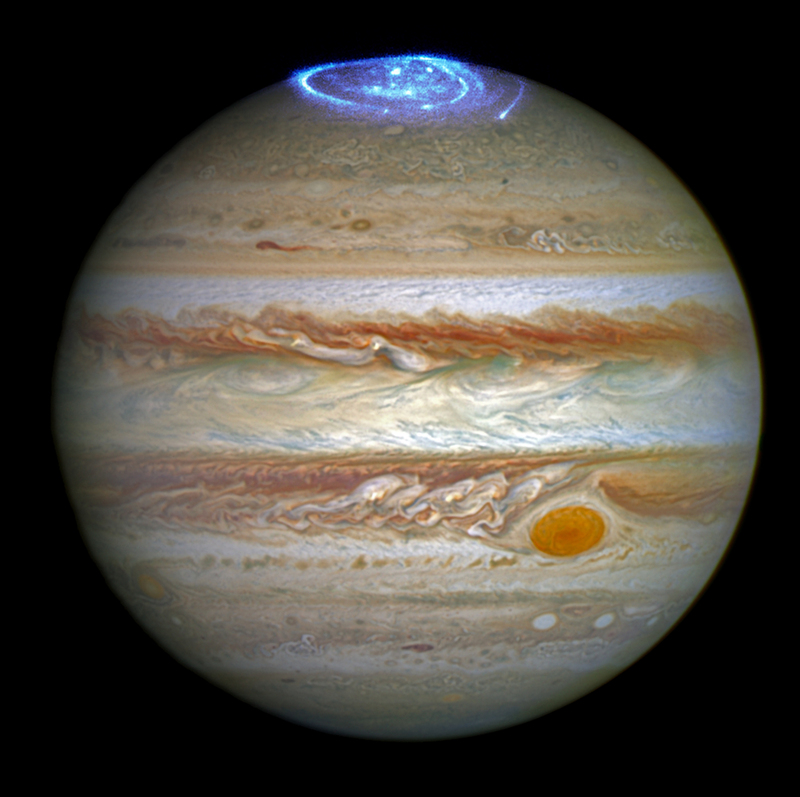 While we’re waiting, ponder an image of auroras on Jupiter. Captured by Hubble on May 19, NASA released the image on July 1 as JUNO approached outer reaches of Jupiter’s realm. 7000 light years from Earth, constellation Serpens harbors a gaseous cluster of stars known as the Eagle Nebula. In 1995, Jeff Hester and Paul Scowen used the Hubble telescope to capture iconic images of Eagle’s northeast quadrant. Unimaginably vast columns of dense hydrogen molecules and cosmic dust. Stalwart sentries, resolute as globules wider than our solar system evaporate from twisted crowns. “Pillars Of Creation” embodies cosmic wonder, but for the Hubble Space Telescope, wonder would be harder to find. Oh comet ISON, you tried so hard; you refused to go down without a fight and sadly all you have to show for it is a rather messy dust cloud. Cheer up – you did your best, and I for one wasn’t disappointed. Still smarting over the fact my sister laid eyes on you and I never had that chance hurts, but I’m optimistic your fading glory might still cross my path in December. NASA scientists now describe what’s left of ISON as a “fading ghost”. R.I.P ISON. Don’t take it personally ISON, you’re not the only kid in space. Instead of sulking over your demise I’m looking for a replacement before you’ve even left the stage. As of today, 1440 PHA’s (potentially hazardous asteroids) lurk within 100 LD (lunar distance) from earth. Some of them game changers, such as the almost 2 Km. 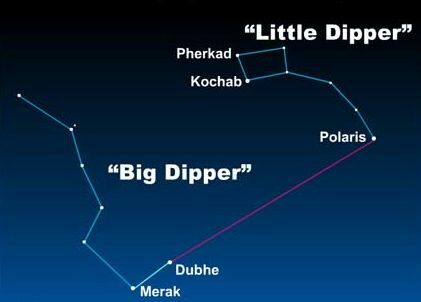 wide asteroid passing within 18 LD (one LD equals the distance from earth to the moon) on Jan. 21 – massive, but harmless – much too far away. The closest any of these PHA’s will come is the 5 metre chunk that passed within .4 LD yesterday. Hardly worth giving you the hook dusty ISON. Solar winds have risen sharply; now almost 500 Km/second, coupled with two active “earth facing” sunspots – AR 1908 and 1907 barely make a ripple on my radar. Sorry earth facing sunspots; you’ll have to do better than a 25% chance of M-class flares if you want to replace ISON. Our sun, flipping magnetic polarity is pretty cool – even if it happens every 11 years or so At the very least worthy of a nod for jaw dropping auroras. I’m partial to the Tycho supernova; witnessed by astronomer Tycho Brahe in 1572. For almost a year it shone as brightly in the night sky as Venus. Take that dusty, disintegrating ISON. Tycho blasted elements outward at an impressive 11 million miles an hour. No big deal, that’s what white dwarf stars do when they go supernova. The cool thing is that science now understands when Tycho went ballistic a shock wave or “sonic boom” of sorts went outwards at Mach 300, the wave collided with interstellar gases and created a reverse shock wave – one that turned back on Tycho at Mach 1000, heating gases and making them visible to astronomers as a glowing ball. Very cool; Tycho helped us understand supernovas – you just confused us ISON. ISON; you thought dazzling us with a 16 million Km. tail would suffice – remarkable yes, but you have stiff competition. Asteroid P/2013 P5, discovered by pan-STARRS on Sept. 10, 2013 , rotates like a sprinkler head with six distinct comet like tails radiating from the centre. 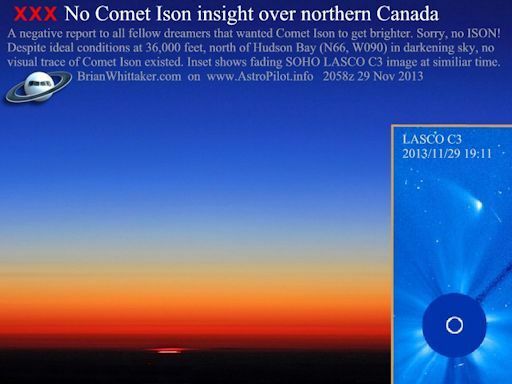 This is jaw dropping ISON – science has never encountered this anomaly. 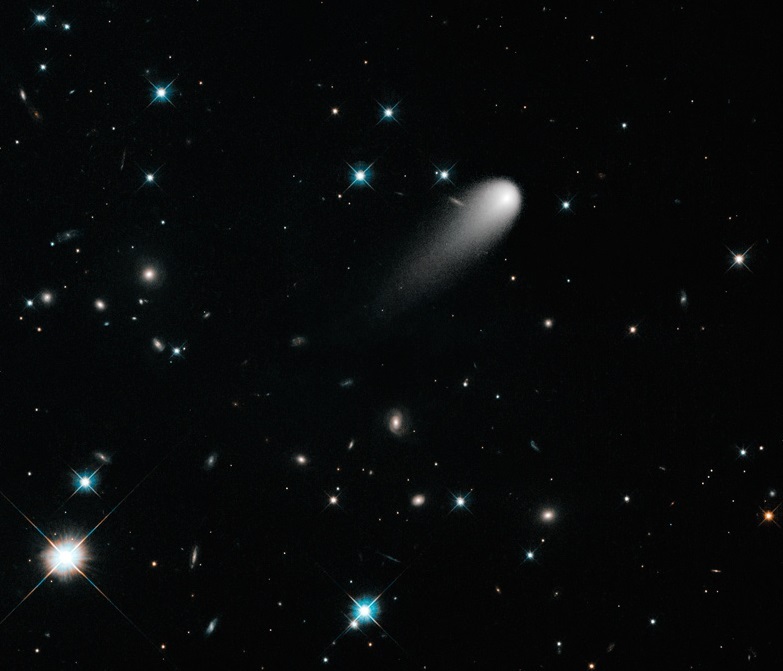 You’re up against gamma ray bursts, black holes and star nebulas, “A” for effort ISON. The universe is too full of wonder to keep you around; take heart – you had a good run, and I’ll miss you.